Carlos S. Montoya is an experienced corporate counsel and executive focused on helping businesses grow. Carlos leverages over a decade of experience as in-house and outside counsel to serve clients as outside general counsel, as well as advise on strategic transactions and business disputes. 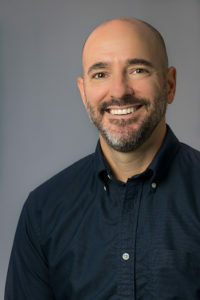 Prior to joining Cooper, LLC, Carlos was Senior Vice President and Deputy General Counsel for Harris Blitzer Sports & Entertainment, the entity that operates the Philadelphia 76ers, the New Jersey Devils, the Prudential Center in Newark, NJ, Dignitas eSports, the Sixers Innovation Lab, and the Sixers Youth Foundation, among other properties. Previously, he was Assistant General Counsel at Aramark Corporation, where he held various corporate counsel and compliance positions, including serving as lead counsel for Aramark’s business dining division and supply chain group, and managing an enterprise-wide compliance team. Prior to Aramark, Carlos practiced law at Morgan Lewis and Simpson Thacher & Bartlett. In between firms, Carlos clerked for Judge Gene E.K. Pratter, U.S. District Court, Eastern District of Pennsylvania. Carlos graduated from the University of Pennsylvania Law School and the University of Virginia. Advising start-up companies and investors in early stage companies, including through the launch of the Sixers Innovation Lab (a Camden, NJ-based incubator for early-stage companies); advising on company formation; drafting, reviewing and negotiating stock purchase agreements, warrant agreements, stock plans, restricted stock grant agreements, software development agreements, and other documents. Drafting and negotiating sports sponsorship, media, ticketing, licensing, marketing and vendor agreements, including first-ever jersey patch sponsorship deal in the four major U.S. sports leagues, and a revolutionary ticketing deal with StubHub to combine inventory from the primary and secondary markets into one marketplace. Drafting and negotiating employment agreements and consulting agreements; providing employment law advice on various issues, including hiring, firing and disciplinary issues, non-competition and other restrictive covenants, wage-and-hour and overtime (FLSA), exempt/non-exempt, independent contractor, interns; drafting employee handbook and numerous other workplace policies. compliance obligations related to receipt of tax credits. Advising non-profit organizations, including charitable foundations, on all aspects of formation, governance, operations, compliance and fundraising. Carlos speaks regularly on topics related to the sports, entertainment and tech industries. He lives in the East Falls section of Philadelphia, PA with his wife, son and black Lab. Additional information about Carlos can be found on LinkedIn. The information on this website is for informational purposes only and should not be considered legal advice or legal opinion. Transmission, receipt, or use of the information on this website shall not constitute or create an attorney-client relationship. An attorney-client relationship can only be established after speaking with one of our attorneys and signing a written retainer agreement. All information on this website is copyrighted.